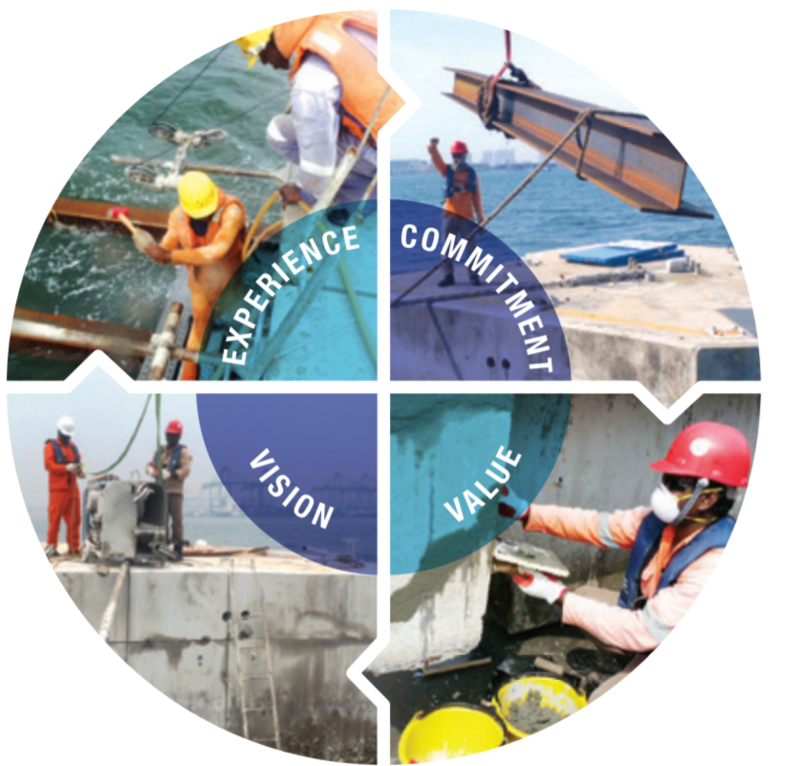 GL Engineering & Construction (GL E&C) Pte Ltd was established in 2013 with a vision to build a brand of excellence in the marine and civil sector. Led by experienced personnel each with more than a decade of experience in their respective roles, the company produces creative and innovative solutions to handle new and customized projects of all sizes, environments and complexities in the engineering sector. The company offers specialist engineering, construction and project management services for marine and civil projects in Singapore and across Southeast Asia. GL E&C’s capabilities include expertise in the construction of jetties, wharves, ports, sea water intake & outfall structures for power plants and desalination plants as well as construction and supply of floating marine structures. GL E&C also undertakes civil construction works in the processing industries from refinery to chemical plant environments. To build innovative marine structures and provide cost effective engineering solutions for our clients and the communities that benefit. GL Engineering & Construction’s focus on building ‘Growth & Leadership’ charts its vision towards becoming a reputable company that leads industry developments. Our company will build our advancements and execute our operational success guided by integral values encompassing Growth, Leadership, Excellence, Commitment & Integrity.